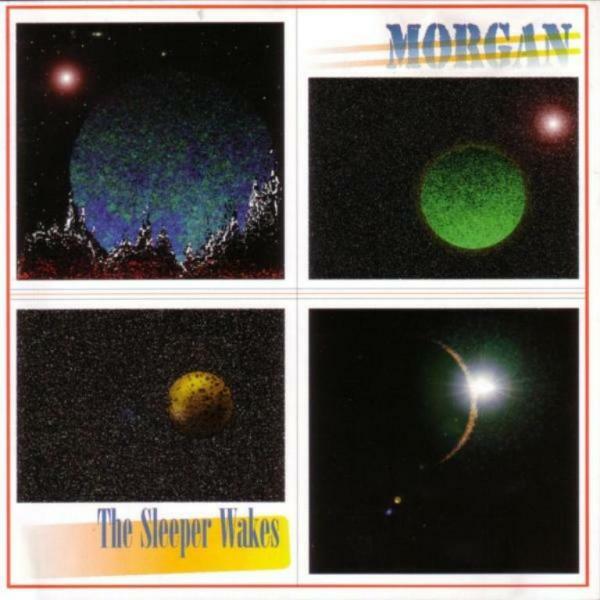 Just to prove that it's not all about pop here and that I am a big Prog fan, today it's all about Morgan. Tim Staffell had been the vocalist and Bass Player in Smile, he co-wrote Doin' Alright with Brian May. Tim left Smile in 1970. May and Roger Taylor added Freddie Mercury and ultimately John Deacon and became Queen. Everlasting Love was not just what Love Affair were about. A great little Pop outfit with overtones of Soul and Rock and a great vocalist in Steve Ellis. When Love Affair split up in 1971, soon to follow was Morgan. A band that would ditch all that pop nonsense in favour of Keyboard driven Prog. Maurice Bacon joined Morgan Fisher from Love Affair and Bob Sapsed and Tim Staffell completed the quartet. Staffell would write the lyrics, Fisher, the music. Signed on a two album deal with RCA, off they went to RCA Studios in Rome to record their first album. RCA Studios was a 16 Track Studio, a chance to experiment. The studios also had a multitude of instruments to incorporate, most importantly the VCS3, a first generation British Synthesizer. The result was Nova Solis, released in 1972, a Prog Rock epic. Three tracks on Side 1, one 9 part, side length, title track on Side 2. The concept was a Science Fiction one. Incidentally, as well as writing the words and music for Alone on Side 1, he wrote two of the 9 parts of Nova Solis alone, one was Earth, a Smile song. The album sold little and the band proceeded to record their second album, which was offered up for a 1973 release. 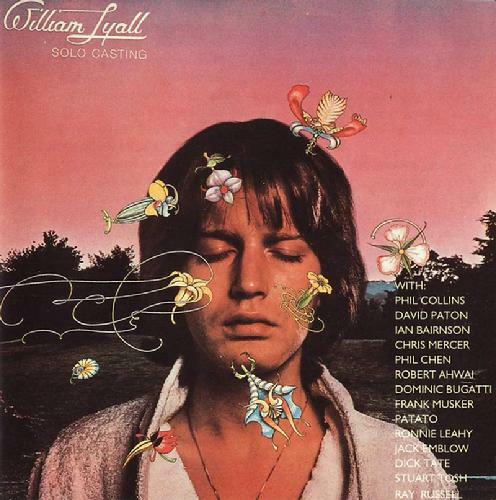 RCA Italy were not impressed with the inner artwork offered up, a rude pun on the title of the album, Brown Out and not at all happy with the complex arrangements and the album was shelved. The beauty of a four track album is that you can feature all four in a post the size of this. Morgan split soon after. Prog fans speak very highly of their residence at London's Marquee Club. It's a crying shame that it wasn't released. It's a massive step forward on the great debut album, some outstanding guitar on the side long, What Is - Is What and a band knowing exactly what they wanted to do. It's even more strange, because it was the time of Topographic Oceans and it's ilk and with some decent promotion and perhaps a good support act tour, you felt Morgan could have blitzed it. It had a low key release, as Brown Out, in the States in late 1976, but caught my ears as the first ever release on Cherry Red, as The Sleeper Wakes, in 1978. I'd largely been moving away from Prog then via the back end of Punk and the start of New Wave. It was a strange time to be releasing something that wasn't full of 3 minute chorus led songs. 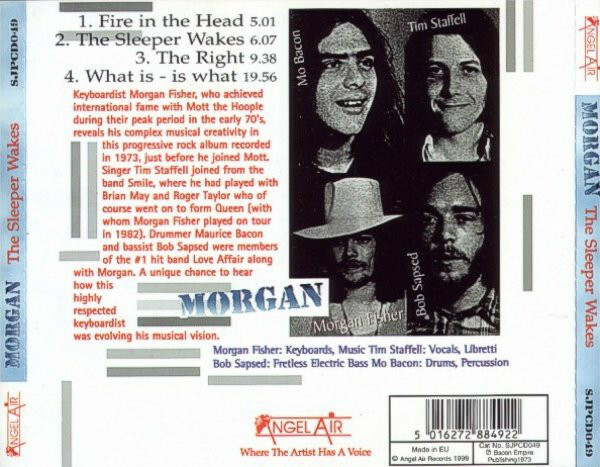 However, my heroes were Mott The Hoople and I knew of Morgan through them and Tim Staffell's pre Queen history made me buy it on it's first week out. It was largely due to a suggestion from the superbly knowledgeable Rumbelows manager, Derek Wadeson. I was entranced, you just lost yourself in the album. Life was not just about I Love You, Yes I Do. The release led to a fruitful relationship between Morgan Fisher and Cherry Red, most notably, the splendid Miniatures album, featuring the likes of Neil Innes, Robert Wyatt and Andy Partridge. As for the The Sleeper Wakes, it sold little, but influenced me enormously, making me look back as well as forwards, no mean thing for a 15 year old. The album was re-released in the UK on Angel Air in 1999 and as Brown Out then in Japan in 2011. If you are a Prog fan and don't have this, you should without any hesitation. If you aren't, you'd be surprised at how an album like this can grip you. If you shop around, you should be able to pick it up for under a tenner on CD or as a download for about £8. After Morgan's demise, Morgan Fisher answered an ad to join Mott The Hoople, being present on The Broadway Tour amongst others and the band's finale, The Hoople, a glam masterpiece. As well as his solo work, he played keyboards on Queen's 1982 European Tour, before eventually moving to Tokyo in 1985. He became an arranger for other bands and soundtrack writer for TV and Film. He's also a noted photographer. From 2003 - 2013, he performed 100 monthly solo concerts and continued the series from his home studio. Tim Staffell became a designer and animator of note. He was involved in the likes of The Hitch Hiker's Guide To The Galaxy and as chief model maker for the first series of Thomas The Tank. He returned to music in 2001 with aMIGO and has released two albums, aMIGO and 2Late. Tim also has a connection with the excellent Jonathan Kelly, via Humpy Bong and Outside. There'll be a feature on Jonathan Kelly, his Folk Rock greatness and his connections to Tim, Snowy White, Chas Jankel and Terry Williams. Maurice moved into artist management and Bob, sadly died in a motorbike accident. Morgan has an excellent Web Site here and his sleeve notes on this album and the songs within can be found here. Further details on Tim's superb animation and model making career can be found here. It's only up to about 2009, but Tim is active on Facebook and I'm sure will add his thoughts there or here. Two things are constant in this poptastic world of ours. Everyone appears to be looking for both the new Jellyfish and XTC. For us XTC fanatics, we can see, hear, smell, touch, taste them. From The Sugarplastic through The Futureheads to Field Music. Dogs Die In Hot Cars released their debut album. Please Describe Yourself, in 2004 and a splendid album it was too. Quirky pop at it's best. The comparisons to XTC were obvious and still are. Produced by Langer and Winstanley, Madness it isn't, probably a little more in touch with Deaf School. The album can be bought for under £2 including postage on Amazon. They were signed to V2 and what a strange old mess that label was. Branson folly! 95% owned by Morgan Stanley, what was that all about? Hailing from St Andrews in Scotland, the band were typical of the great stuff coming out of Scotland at that time. Angular Pop at it's most splendid. The critics loved it, a sure fire way for a band with XTC comparisons to sell nothing. There was lots of Promo, but nothing really made a dint. There were two live sessions for KCRW and KEXP. The band began recording the demos to their follow up, Pop Nonsense in 2006. However at the end of the sessions, after the departure to University of guitarist, Gary Smith, the band abandoned the recordings. In the mass V2 cull in 2007, the band were dumped. In 2008, the posted the 17 demos on their website with instrumental tracks too, so that fans could remix the songs in anyway the liked. The results could be sent to the band who would pick their favourites and split the royalties 50-50 when the album was released. The band abandoned the mixing project saying that there wasn't enough content to release the project. Then the 17 songs in advanced demo form were put on the band's website for free download. People were encouraged to do what they wanted to incorporate them into songs with 50% of the royalties going to the band. These songs are long deleted, so I've linked them for download below. If anyone from or connected to the band have a problem with this, I will take them down straight away. They are on a We Transfer download link which will expire in 7 days. Craig Macintosh released an album in 2010, The Lie. It's much more mellow than the DDIHC material, but it's a great listen. You can buy it for download on Amazon. As a finale, here's one more song from the debut, the band more in Kaiser Chiefs mode. Back to a 1998 album for today's post. Mick Ronson was my guitar hero, I was too young at the time to truly appreciate what went before glam and through that glittery star sprinkled era, the Spider shone. So I now look at it through very large rose tinted spectacles. I became more and more appreciative as time went on for Ronson, through Dylan's Rolling Thunder Tour, his superb return with Ian Hunter in '79 and then his Nashville years. I never thought anyone could equal Ronson, he was as good as ever on that final tour with Ian Hunter. Seeing him at Manchester International 2 with my good friend John Dickinson, I was transfixed. Mott The Hoople had been my band, but it was Ronson I wanted to see. Melodic, effortless and not just the traditional rock riffs, he was never afraid of country or a Duane Eddy Twang. 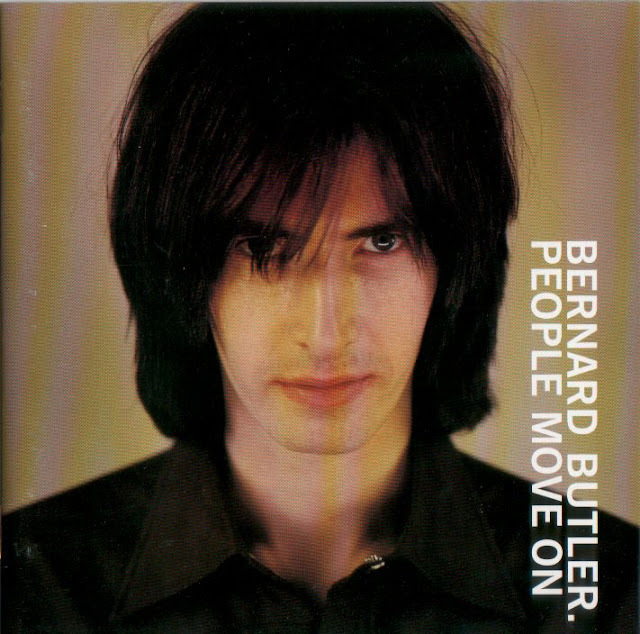 Why all this stuff about Ronson in a Bernard Butler post? Well I did find someone who had the same style, attitude and belief. If it got boring, he moved on, that man was Bernard Butler. He was the Mick Ronson for the Brit Pop generation. Less so now are his links to Suede and Duffy now, Butler's work away from those is akin to the axe hero for hire. He's obviously more known as a Producer of excellence these days, as well as currently on a great live stint with Ben Watt and I'm sure he doesn't reflect on the past. but his first solo album gets nowhere near the recognition it deserves. I lost interest in Suede an album or two after he left. Dog Man Star is a wonderful album and if only it hadn't disintegrated after that, who knows what they could have become. The album but creative genius. To me it was Butler's album. After two killer singles and an album as a duo with David McAlmont, a solo album was to come. The album is 18 years old now and I still return to it when I need something uplifting (I do the same with Ian McNabb's Truth And Beauty). For fans of McAlmont Butler's "Yes", Not Alone is in a similar vein, all strings and solos. More folky reflective moods are catered for by Autograph, Stay and People Move On. The lead in twang to the final chorus on the superb A Change Of Heart is so Ronson like. Critics griped about a supposed weedy voice. I think they miss the point, it was a solo album and so why have an outside singer and I think his voice works beautifully on the songs he brought to the album. The opener, Woman I Know, is a bold start, a nigh on eight minute Peter Green like Riff dominating it, it's great. I mentioned preparing for the first radio playlist yesterday and Mr Butler's You Just Know is the second selection. You'll pick the album for a dirt cheap price on Amazon, wrongly, it dererves far more and for the proceeds to be going into the artist's pocket. His second and final solo album, Friends And Lovers, came out the following year. It's a much more mellow affair, songs built more on a riff than those grandiose solos, but well worth digging out too. It seemed that the budget was much less for it, so it was much more down to earth. It doesn't suffer from that though. Finally, Bernard Butler's appearances as a guest guitarist are always ace and here he is with my beloved Sparks on Channel 4's White Room. You can also find more about the great man at his website here. As you can see, this place is a work in progress, it was rushed out due to demand. The plan was to make it a far more multimedia led place and in the background we were planning a monthly radio show and alternating fortnightly, a chatty podcast with interviews etc. This remains the idea, but time constraints with other ASH Stuff and work slow this down. I mention this, because whilst I search for the first playlist for the radio thing, I wanted it to be about stuff available now, so that people could pop off to buy it. That isn't as easy as it seems, I only play and post about stuff I like. It's not a pay per play thing, it's a fan's place. Over the eight years of ASH, we get directed to a lot of Power Pop and Pop Rock. It's certainly not all that we are about, but the the group has got a certain notoriety for that. We get sent a lot of Mod Pop, Merseybeat, Garage etc and without being critical, because people do like that, it's not what we are about. We are secret Prog Rockers really, who like nothing more than to have Jason Falkner's Hectified on repeat. We like a hook, a chorus, a song you can sing along too with a great solo. Call it Power Pop, Psych Pop, Pop Rock, New Wave, whatever you want, it's not about labels or the dreaded genre allocation. So why am I blabbing on about me, when the post is about Propeller. Well, the first song I've chosen for the broadcast, leaving only another 57 minutes to source, is by Propeller. What a great band they are. They aren't new and are in fact a duo, but their third album, released a few months ago is superb and after the excellence of the first two, this is a step up further. For a pitch at what to expect, I'd say it's like Vocalist, Greg Randall is backed by Teenage Fanclub. The riffs are in that direction, there's a lot of jingle jangle, perfect for these summer months. But just as we like it, some great solos towards the end, round off the delight. Believe you me, the solos are ace. I'm also getting used to shorter albums these days. 30 - 40 minutes is just about right, a bit like the old Side 1 and Side 2's of olden days. Say what you've got to say and get off and that suits what Propeller do just fine. 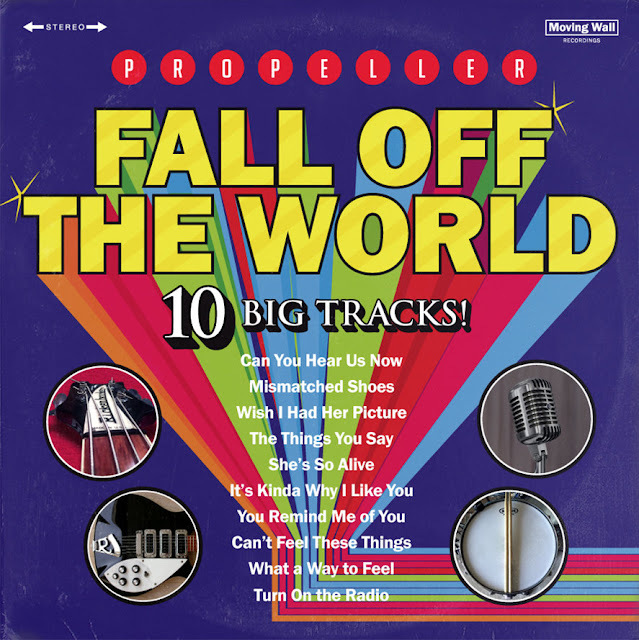 The opener, Fall Of The World, above, kicks the album off with a errrr kick and the hooks don't let up. The production reminds me a lot of Greg Pope albums, which is a compliment. The album is track after track excellent, proper feel good songs and the best may very well be saved until the end. Turn On The Radio is a real Ramones tribute down to the 1 2 3 4 intro. Great Stuff! 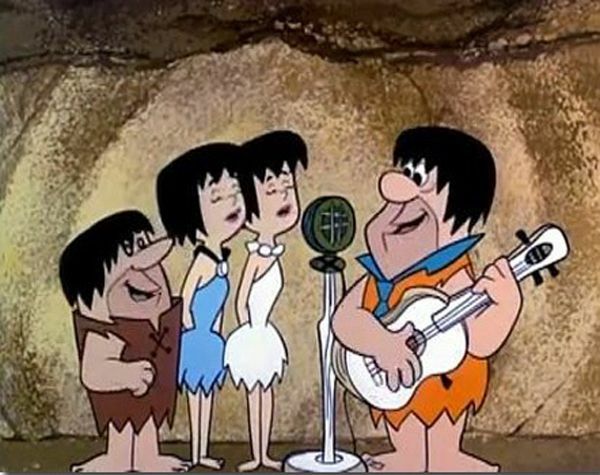 Everyone is raving about the new Monkees album and rightly so, but how about ten songs written by the band and giving you that same windows open feeling? Well here you have it. I rave about the likes Greg Pope, Nick Piunti and Michael Carpenter, well Propeller are up there with them. You can buy the album from the Bandcamp's site for the ridiculous price of 5 dollars, the price of a pint of beer. So you will want to want to make your way there now. Just point the compass to here. 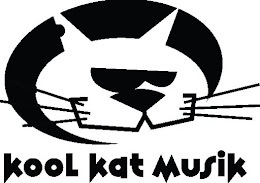 You can buy the CD at Ray's excellent Kool Kat Music or CD Baby. Propeller are currently recording album number four for release next year, which promises to be a treat. In the meantime, when you visit the Bandcamp Site. You can buy the two earlier albums, The Fear Of Rock And Roll and Don't Be Sorry Again, for five dollars a piece. So three albums for 15 dollars, wall to wall Power Pop, time to click that mouse. Here's an example of what you are missing not grabbing them all. As well as celebrating the new, old and current here, we do like our great lost albums and none are more great than Billy Lyall's 1976 solo album. It all started in 1969 when he and David Paton were part of a fledgling Bay City Rollers. Both left in 1971, well before the Bye Bye Baby mayhem. The reason that Lyall gave was that he didn't want to be a teenybopper. Paton and Lyall went on to form Pilot. The duo wrote all the Pilot songs on the first two albums, From The Album Of The Same Name and Second Flight. Pilot's other three band members went on to other things after their first split, after four albums, in 1977. Paton and Bairnson played with The Alan Parsons Project, Stuart Tosh and Lyall also played on the Tales Of Mystery And Imagination album. Tosh eventually became 10CC's drummer, whilst Bairnson played guitar on the first four Kate Bush albums. Paton recorded with Elton John in the 1980's and Rick Wakeman in the 90's, as well as following an intermittent solo career and reforming Pilot for a short while with Bairnson. Billy Lyall left Pilot in 1976 after the first two articles, again giving the reason that he didn't want to be a teenybopper. He set about planning his solo album. It's great Pop Rock and as with many great albums, it sold buttons. Part of the problem is that you or I can appreciate how diverse it is. To the general public they just wouldn't know what hit them and who'd care about the keyboard player from Pilot? You can hear Pilot at times, well he did write the two albums to date, but it's so much more than that. At times, it is Todd Rundgren, other times Elton John. A soppy ballad will be followed by something so vaudeville that you'd think that the Bonzo Dog Doo Dah Band were backing him. Pilot still have a loyal following these days and for those who thought Lyall was too left field for Pilot, have a look at this from the band's second album. It wasn't all "January"
Billy Lyall went on to play keyboards for Dollar between 1978 and 1982 and sadly died of AIDS in 1989. Solo Casting is not easy to find, so I've putt the full album from You Tube at the end of this post. If you shop around you can find it on vinyl for under a tenner. It was released by See For Miles on CD in 1996 and on Muskat Records in Japan in 1997. The Japanese Release is easier to find, but expect to pay at least £20 for it and it could go up to £50. In the meantime here's the full album. I'd love to make it available in a proper audio format, but rights to the album make this tricky. For all the feel good natural inclination of Power Pop, it's doesn't sell loads. There's also a misconception that after the Merseybeat bands it was grabbed by the US and that's where all the best stuff comes from. It forgets the UK New Wave efforts and in particular how great the scene is in Australia. For every Tommy Keene, there is a Dom Mariani. Sydney's Michael Carpenter has been releasing great albums since 1999. You can still buy a good deal of his Back Catalogue on his Bandcamp site here. In with the Power Pop goodness are more unexpected gems. His Songs Of Other People (SOOP) Series contains inspired unexpected cover songs. His album last year, The Big Radio, could very well have been the Power Pop album of the year. Doing what he always does, it is just great Power Pop. She's In Love With Herself gives you an idea what it's all about. 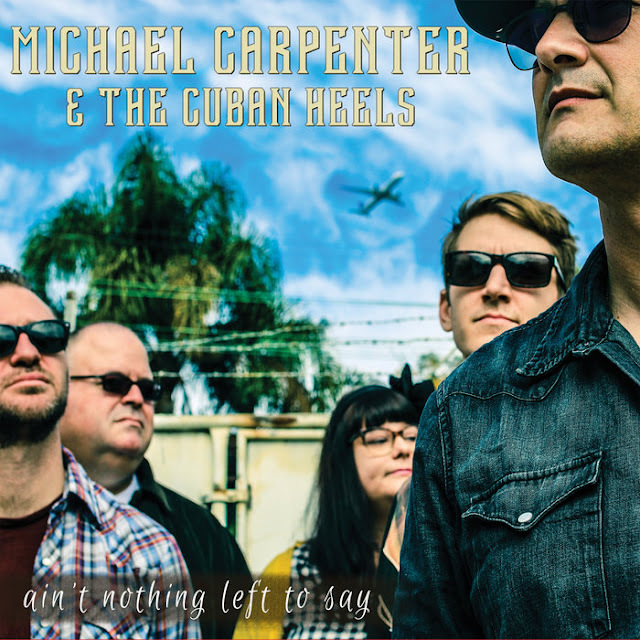 Michael's stuff with The Cuban Heels tends to have a more Alt Country feel. For those averse to that label, don't worry, there's plenty of his Trademark Power Pop chops present. The new album, Ain't Nothing Left To Say, is a gem. There's so much for everyone. Photo is virtually Classic Rock, Wasted Years, Wasted Time could be The Counting Crows, The Country tinge is there on the likes of I Was Born Standing Up and the lead single, I Should Have Told You. Yet, the Power Pop shines through, particularly on the magnificent, One Of These Days I'm Gone. This is an album to put in the car, wind the windows down and listen to it all the way through all 12 songs. The world will seem brighter, more optimistic and ok. Heaven knows, we need that these days. I was concerned that this album wouldn't be as good as The Big Radio, It's not the same, but I'm delighted to report that it's every bit as good. You can buy the album here. You'll also note, when you arrive there to buy it, that there is a limited 500 release on CD. Trust me, that is the best way to listen to this sonic excellence. The second of the two weekend posts brings us back up to speed. Again an archive post from 2013 and updated. Roy Wood had had an hectic 1971. Never one to do things by half, he was recording three albums at the same time. Those albums were all so very different. The Move's finale Message From The Country, a patchy thing, but with some gems from both him (Ella James) and Jeff Lynne (The Minister) was one of them. Two Move singles were also recorded, Chinatown and Tonight, both excellent. ELO's first album with an added cello and violin line up was often compared unfavourably with the Jeff Lynne led ELO later stuff, but this has been reassessed since as the inventive original joy that it is. Wood's Whisper In The Night is just simply one of the most enchanting love songs ever written. Finally, his outstanding solo album, Boulders, on which he played and sang every note. A real mix of styles and fond patisches of his heroes such as The Beach Boys and Everly Brothers. Many parts of Message From The Country and ELO 1 were laid down in the same sessions, when they would finish a Move song and then move on to one for the ELO album. 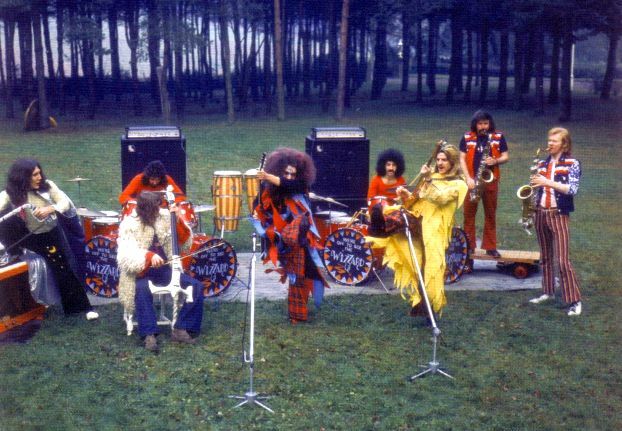 By June 1972 it was all over and Roy Wood left ELO to spend the next few years recording either as a solo artist or in the band Wizzard, the latter being the first to introduce new sounds to the public. Wood took Rick Price, Bill Hunt and for a short time, Hugh McDowell with him into Wizzard and the first two singles showed a new glam like Phil Spector meets The Beach Boys direction that the kiddies loved. Both Ball Park Incident and See My Baby Jive, showed a more pop direction not seen in all but the first Move album. Sessions threw voices and instruments on every part of any recording tape available. So when March 1973 came round and the album was to hit stores, it would have been the natural thing to have eight more songs in the same vein. Not Roy Wood! What arrived was the marvellous cacophany that is Wizzard Brew, those kiddies must have run away frightened by the hairy monster making all the noise. Just six tracks, one a 2 minute marching band sing song. It sounded as though two dozen musicians had been put in a studio and started playing at the same time, some of them playing different songs. The 13 minute, Meet Me At The Jailhouse, is largely saxophone duelling with a three minute song in between. Gotta Crush is 4 minutes of Rick Price vocal to a Bill Hunt, Jerry Lee Lewis Piano fest, all well and good so far, well Rick Price sings the song in his Elvis Presley voice. You Can Dance Your Rock And Roll is more straight ahead Ball Park Incident like, except that Roy Wood sounds like he's singing it the studio next door. Side Two's opener, Buffalo Station - Get On Down To Memphis is raw, but extremely likeable, which leaves just one song to talk about. Wear A Fast Gun is probably Roy Wood's finest song and is certainly my favourite Wood composition. A wonderful ballad that grips you that leads into a wonderful orchestral instrumental and closes with a choral finale. Ideas similar to this would be explored on Annie Haslam's solo album, Annie In Wonderland. So I've probably put you off, I hope not, because it remains one of the most inventive and strange albums of the Seventies. It needs repeat listening as you keep hearing things you've missed. Wood wise, there are hints of The Move's Looking On album, which again is probably my favourite Wood album with The Move. The 2006 remaster of this album has the first four Wizzard singles as bonus tracks. The A Sides showing what the kids heard, the B Sides showing the experimentation. Adding to the two singles already mentioned are Angel Fingers and I Wish It Could Be Christmas Every Day. 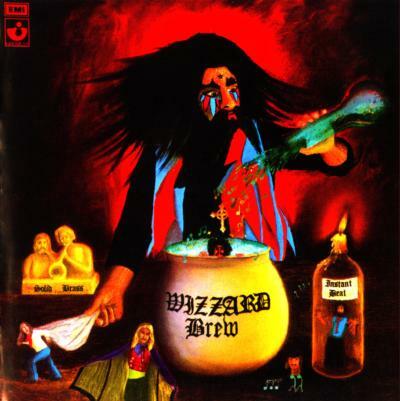 Just proving how far away from those singles, Wizzard Brew was. Roy Wood was to move back to the mainstream for a while after this. Boulders was finally released in 1973 and he followed that up with the fantastic solo album, Mustard. Wizzard would reappear with the Fifties tribute, Introducing Eddy And The Falcons and that would be it for the band. Another mind boggling album was to come under The Super Active Wizzo Band moniker, that went all Jazz Rock, but the tale of that is for some other day. Whilst weekend work is devoted to other ASH related things. The intention is to put two posts each weekend from the archive, leaving the week days free for five new articles. You can still buy the Daryll-Ann Again Box Sets from Excelsior for the bargain price of 39.99 Euros. Get it while you can, as well as all the studio recordings, there's tons of rarities. You can rush off now to Excelsior to buy it now. Mick Dillingham provides his thoughts on the excellent Daryll-Ann. You can also catch up with his Blog Adventures at Art Into Dust. In our thirties we tend to believe that we are now for all intent and purposes grown up and it isn’t until we start to reach our true maturity in our mid forties or so that we realise the folly of this belief. Now to me the average thirty year olds seem like teenagers playing at being adults. Older and wiser certainly but not actually old and wise as yet. Too much noise, too much ego, too many words for word’s sake. The wisdom of age comes not from accumulating more and more personal knowledge but instead the ability that comes with age to whittle it all down until we are left with just the knowledge we know to be our truth. Less is so much more because that less we end up with is mostly real and solid. We can all look at the music we have accumulated in our lives and think, but what if I only keep the stuff I truly, truly love and ditch the rest? Would that weaken my collection or in reality make it even better? When we finally become an adult the most apparent change is that we really don’t care that much anymore. But not at all in a negative and world weary cynical way, in fact quite the opposite. We realise the things that are truly worth caring about and only care for those things and we discard the rest. And most importantly we do the same with ourselves. We whittle down our egos and as a result we care more for those around us and less about ourselves. We become less selfish and more selfless in our love. Finally as adults we are the best and most efficient versions of ourselves, free from the empty noise and storms of our later youth. Everything is clearer and more simple and we can look back on the friendship and relationships we have lost down the years and wonder what the hell were we thinking when we let them become such tangled angry sad messes. All those things that seemed so important at the time are now viewed as really quite trivial looking back at it. Too many trees obscuring the wood. We focused too much on the ultimately pointless tangents that our egos led us down instead of staying focused on the core, too busy standing up for ourselves when what we should have done is stood back from ourselves. But we were younger, what did we know? Not as much as we like to think that’s for sure. Now, with age, we know better. Camper Van Beethoven were still relatively young when they dissolved in bitter acrimony back in 1990. When I first interviewed Jonathan Segel and Victor Krummenacher a few years later they were both producing their own brilliant music but the heartbreak of losing CVB still hung over them like the ghost of a long lost love. Then at the start of the next decade, David Lowery, a few years older than the rest of them and still going strong with Cracker had the thought that maybe they were mature enough as people now to bring Campers back to life once more. And he was right, now they saw the wood not just the trees and 13 years on from that return and they are stronger than ever, producing their finest works and live, even more dazzling then they ever were. With the stillness of age comes stability and acceptance of others and what once had become horribly fraught is now effortlessly relaxed. When a band reforms simply because they are old enough now to put aside all the things that drove them apart originally and instead appreciate what each of them brought to the whole and what the whole inspired in them that they never quite found outside of it, then the results are more often than not excellent. Who can argue with the quality of the recent reformed dB’s, Grapes Of Wrath or Wanderlust albums? And if it had happened wouldn’t we all now be praising the new Game Theory album as a wonder to behold. Cotton Mather, The Rain Parade, The Three O’Clock and The Mutton Birds all returned as live bands in recent times and we all hope that they might go on to make new music together, utterly confident that the results will be vital and worthy. 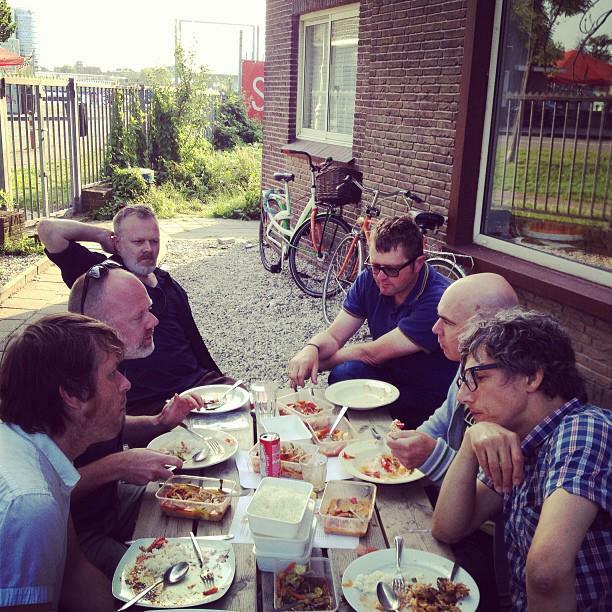 I love Dutch masters Daryll-Ann, they are one of my beloved combos and always will be and the news that they were reforming for a handful of local gigs in support of the long anticipated box set of early works and rarities, cheer me up no end. Not that there’s any chance of me seeing them live again, because there isn’t and not that they are considering recording together again because as yet there is no talk of that and it might be just these few dates and nothing more. That’s okay, both Anne Soldaat and Jelle Paulusma have produced solo work of consistent brilliance so its not like they need Daryll-Ann to bring them back to form because they never lost it. What cheered me up was the thought they were finally old enough to rediscover their friendship once more. I interviewed both during their Daryll-Ann days and in the years since and when asked both were adamant that they would never work together again. And while I dropped their muted responses to that question from the finished articles I always had the thought that they were just not old enough yet for the stillness to have kicked in. But then over the last few years you could see their friendship slowly wander back into their lives via their casual interactions on Facebook. Now finally the friendship has returned and in consequence so has Daryll-Ann. Do we need a new Daryll-Ann album? No. Do we want a new Daryll-Ann album? Oh, but certainly yes please and if they do decide to do a new album as far as I can see there are two ways the dynamic behind it will go. 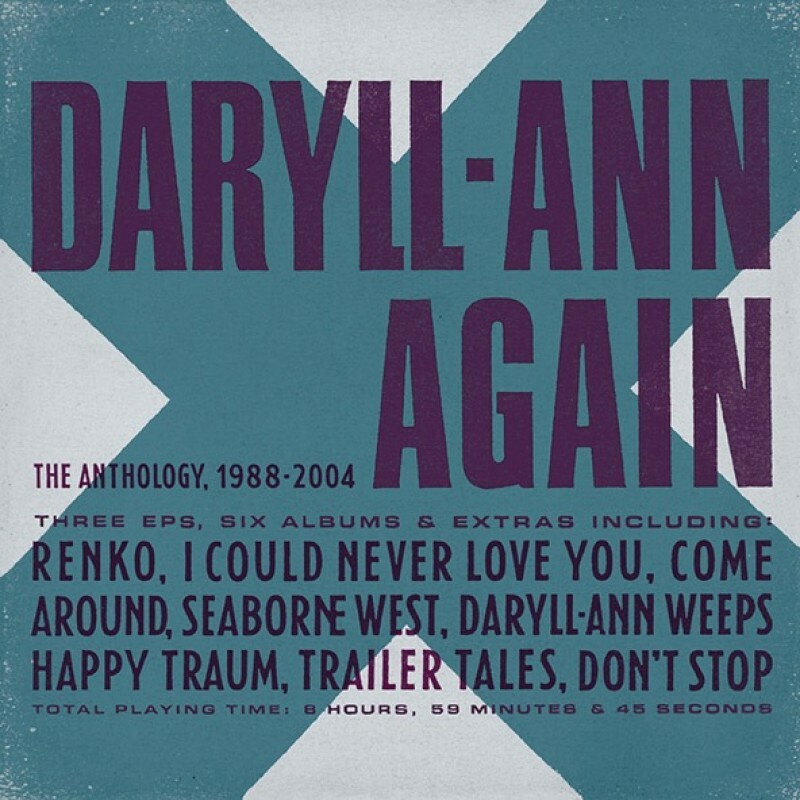 Don’t Stop, the last Daryll-Ann album was an attempt to revive the band that failed. Jelle and Anne, who have never written songs together, brought in some songs and with a group of musicians recorded them. But by then their friendship was in tatters, there was too much recent water under the bridge and the atmosphere in the studio was uncomfortable at best. Despite this adversity the album is superb in its own way but really with such talent involved it was bound to be. Not that is saved the band because inevitably they did not survive the tour in support of the album. So a decade down the road and with friendships renewed and returned by the salve of maturity they could both bring in songs to be recorded by the band as a whole, this time in a far nicer atmosphere and the results will be great. That would be the easy way. Weeps is considered to be the band’s masterpiece and I think the reason for this is that it’s the album where the band became greater than the parts and took on a life of its own and truly became Daryll-Ann, a magical entity in its own right. Something beyond the individual talents involved. But then Jelle and Anne got carried away with themselves and somewhat dropped the ball. They did not involve the rhythm section in the recording of Happy Traum and while its another great album, its no Weeps, because it is not really Daryll-Ann anymore, more a Soldaat/Paulusma album. They had made the mistake of believing they alone were Daryll-Ann, too busy standing up for themselves instead of standing back and seeing the whole that was greater than the parts. They both walked away from Daryll-Ann after that. Ann was the one to actually leave and in consequence Jelle was the one left with the name. He mistakenly thought that he now had to be Daryll-Ann, though in reality he had no more chance of making a Daryll-Ann album alone than Ann would have it if had been him left with the name. Trailer Tails is a lovely album in itself, but it is a Daryll-Ann album in name only. Jelle subconsciously knew this and pulled Ann back on board for the live shows that followed and the subsequent last gasp attempt to save the band that was Don’t Stop. It was always doomed to fail because the now broken friendship of Ann and Jelle was a gaping wound at the very heart of the band and both were still not old and mature enough yet to fix it. So instead Jelle tried filling that fatal hole by taking control and leadership of the band. At the time it must have seemed the right thing to do but as history shows, for Daryll-Ann it wasn’t. And Jelle at the last knew his mistake and this time it was he that left and relinquished the name and that was the end of Daryll-Ann for now. But now the classic Weeps line up has returned, maturity and time having renewed friendships and mended bridges, the band are in the perfect place to create Daryll-Ann music as Daryll-Ann once more. The pressure is off, they have nothing to prove and this is not their career but just a part of it. Both Jelle and Ann are hugely creatively successful as solo artists and so neither has any need to bring any of their own outside musical explorations to the table but should instead focus on what Daryll-Ann alone can do. For most band’s with two equally prolific songwriters it is usually the case that one songwriter is overall better than the other when it comes down to it. With Daryll-Ann this is not the case, they are equally great, so no problem there. There are two unique musical jewels in the band’s crown and they are what above all else make the band so magical. Ann Soldaat is a brilliant guitarist, a true great, magnificent beyond words. And the other jewel is Jelle’s voice. While Ann is a perfectly excellent lead singer, as is Jelle’s brother Coen, neither has that extra special natural quality that Jelle’s voice has. That warm honey perfection that can only be gifted by luck and nothing more. While I would not have a problem with Ann electing to sing his own songs on a new Daryll-Ann album, if I could choose then I would want Jelle to sing them all. Not because Ann’s voice isn’t good but because Jelle’s is sooo good, not just by comparison to Ann’s but by comparison to 99% of all singers out there. It truly is a jewel. Now just plonk the five down in a studio and say, don’t just make music, become Daryll-Ann again and make the music that only the band can. By all means put yourselves first on your own albums, but always put Daryll-Ann first on a band album. That is how Weeps happened and that is how it could be again if you become less selfish and more selfless in your love for Daryll Ann again. That’s my thoughts on the subject anyway. 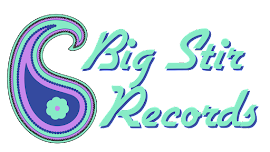 My two favourite labels at the moment are Sugarbush Records and Megadodo. In the unorganised mess of music I have here, I have a "current favourites" shelf and Markus seems to have the knack of releasing limited vinyl releases of it's contents. The latest being Nick Piunti and Pugwash. John at Mega Dodo also hits the spot. I may seem to be regularly stood on the Power Pop step, but my tastes are all over the place including a love of Prog. John's releases seem to mirror the randomness of my collection, Viv Stanshall next to The Luck Of Eden Hall. I mention Markus in particular, because I'd love to have something on vinyl from Greg Pope and he seems the man to do it. The Noughties were a bit mediocre for Power Pop, fortunately, we've been spoilt recently. 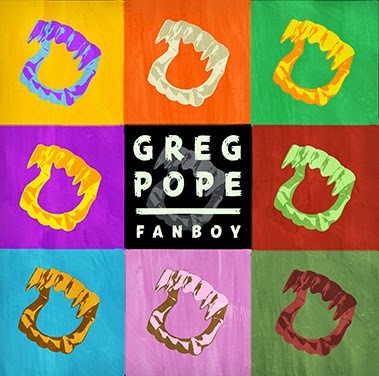 The quality of Greg Pope's albums can be included in the exceptions. Greg offers up grown up Power Pop and did throughout those lean Noughties years, lyrics that aren't I love you, yes I do, my girl's left me and I'm sad. He builds melodic lyrics around killer hooks and he can play a mean guitar, not an obvious requisite for the genre. It really is Pop for adults and his last album, Fanboy just doesn't let up. This isn't an album that's front ended it's a joy all the way through, a proper album. I don't need to mention individual songs because you'll want to listen to it all the way through. To these ears, it's better than the previous Pop Monster and that's some compliment. I'd put him in the same camp as the likes of Nick Piunti. 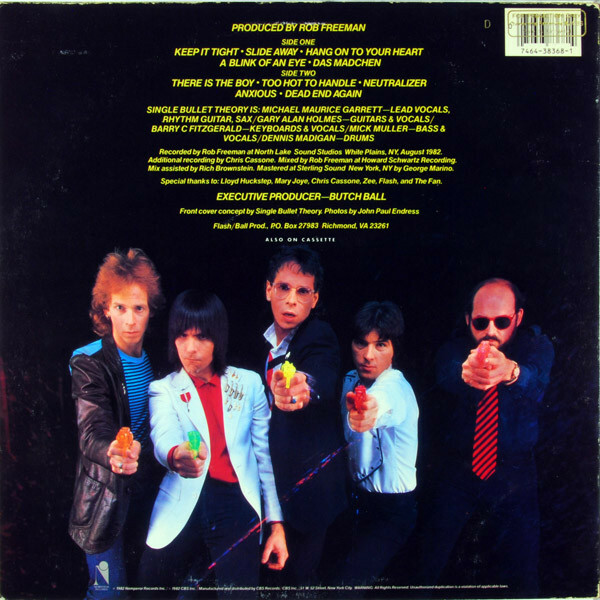 I have no idea why Power Pop doesn't sell millions of albums or why Greg Pope isn't much bigger. I should start a campaign to change that. At the very least give the album's opener New Beginning a spin. Over it's eight years, ASH has always celebrated the current bands that don't get enough acknowledgement and the great lost bands, of which there are far too many. 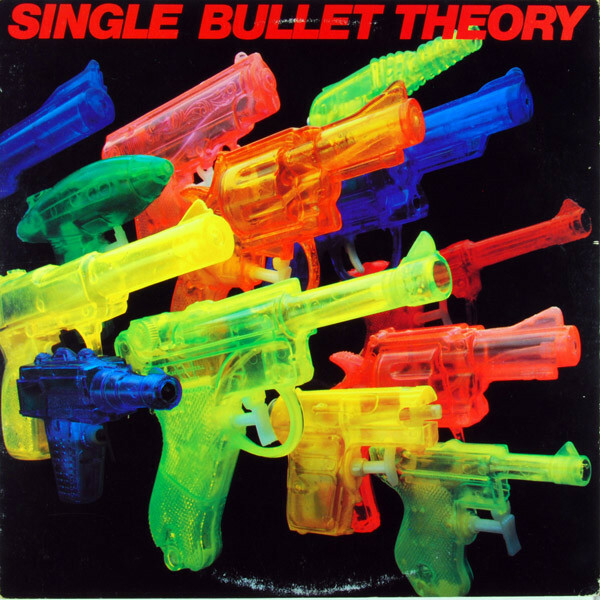 Last night I pulled out Richmond VA's Single Bullet Theory's one album from 1983. I'd forgotten how good it is and after one listen, for the first time in a long while, I was hooked all over again. The plan today was to write a short article telling you how good they were and how great the album is. In the meantime, I dug out an article by Mad Dog for Richmond's ThroTTle Magazine in the late 80's. It had been republished on his website. It makes far more sense to republish this in depth analysis of their career. Perhaps band members who wish to add anything will add even more information to it. Mad Dog also published a discography here. You can download some of their early recordings free here. The Vinyl album can be bought on the likes of Discogs for around 5 dollars. The album has never had a CD or digital release. I have taken the liberty of ripping it to 320 mp3. If the band agree, I can post that for readers. In the meantime, here's Mad Dog's lengthy article. A Big Thank You for allowing us to use this. Record companies are in no hurry. As Greg Wetzel, ex-Good Humor Band and Nighthawks, once said, "Bands are like stagecoaches, there's another one coming along in an hour." After all, a record company's career doesn't rely on you, though yours may rely on them. Tired of waiting for the record companies, the band goes to Alpha Audio in Richmond with producers Carlos Chafin and Barry Gottlieb to record a nine-song demo tape. The band begins a cross-country tour opening for the Pretenders while the tape is taken around to nineteen record companies. Summer is spent recording the album at North Lake Studios outside New York City. The band is psyched, but that soon changes. Freeman starts playing mind games with the band, pitting member against member to get what he wants. The band decides to conform just so they can get the record out. About halfway through the sessions they know something's wrong, but as far as Richmond hears, everything's going great. The band decides that none of them will record without another band member in the room so they can't be played against each other. The sessions get better, but it's too late. Nemperor doesn't like the mix, so Tony Bongiovi, whiz kid from the Power Station in New York City, re-mixes "Keep It Tight". The second album is never recorded. They disband. Michael Maurice Garrett worked full-time for about a year. He now handles freelance art assignments and DJ's at Domino's Dog House. He doesn't want to be in a band and he doesn't want to perform. He's writing songs for the sake of the song now, not for a specific band and he's recording the songs with different musicians, including some from Single Bullet Theory. He's busier now than ever. "I feel reborn," he says. "We accomplished a lot and I'm proud of what we did. But we're independent again. We're finally in control of our lives." This article appeared in ThroTTle in the late 80's. A further update on what the band were doing appeared in the late 90's. Perhaps any band member might like to update us further. Gary Alan Holmes is working in the health industry and living with his fiancee, Ginger, in Midlothian, VA.
We've loved The Explorers Club since 2008's Freedom Wind. Jason Brewer has the harmonic hooks nailed and this continued on to 2012's Grand Hotel. The new album is the best yet. There's always been Beach Boys comparisons and rightly so, probably more so here. The harmonies are from a by gone era, but one that should be revived. 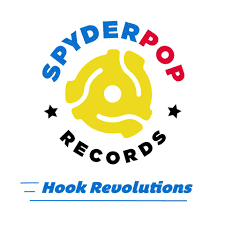 We listen to so much clever clever music, particularly Psych Pop wise and Power Pop bands with hooks and songs about a girl who has left them, it's refreshing to hear such well made pop. The band has developed from Surf Pop into more complex harmony arrangements. We are always looking out for that great summer album, something that catches the optimism and hope, this is this years. But don't think it's all Beach Boys, this will appeal to West Coast devotees and those who thought The Feeling only had one album in them. 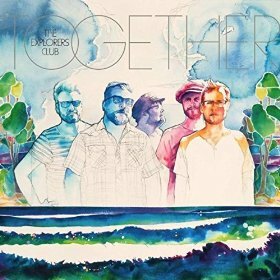 The opener, Together is really soulful, followed by the lead single, California's Calling Ya, which is more of what they are about. Once In A While is the stand out, great pop and there's also contemplative moments on Quietly and the closer, Before I'm Gone. It's a short album, but we like that. We've long been advocates of say what you've got to say and no more. CD's demise is regrettable but it has cut down on the all filler no killer format of albums. You should march down to your record shop, sorry get your mouse fingers clicking and buy this now. The world will look and sound a better place. It's also great that Wyatt Funderburk is now on board. We've been long term admirers since Pendletones' Forty-Nine Per Cent, an amazing album for a then 17 year old. His Second Saturday stuff is amazing, Here's The Deal being one of our favourite albums from 2011 and his 2013 solo album, Novel And Profane is ace. He's also a noted producer of the likes of Linus Of Hollywood, Bowling For Soup and Silver Sun. You can pick up Together at the usual online places, but please support your local record shop / independent mail order guy if you can. The Explorers Club are on Facebook and Twitter. They are also on Bandcamp where you can pick up the excellent Freedom Wind album. 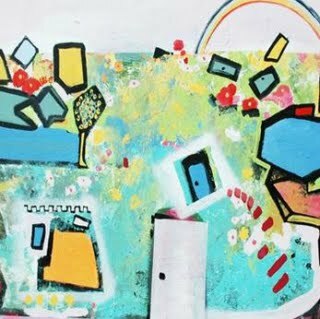 You can also visit Wyatt Funderburk's Bandcamp site where he is offering extended versions of both Second Saturday albums at Name Your Price. You can also buy his 8 releases in high quality digital formats for the bargain price of $21.60. As the street cred amongst you will know, Anything Should Happen has been around for about eight years with it's fingers in all sorts. We've attempted to do something public properly for a while, but other projects have got in the way. We had planned to revive Anything Should Happen Again after the summer, but the clamour for us to return has meant us moving quicker and so setting up this basic Blog to get us going. The fact that I'm rubbish at html has nothing to do with it, but on a more serious note, we get sent loads of stuff to review and there has to be a public web presence instead of the scatter gun approach. The reluctance to get this back up soon was largely due to it needing a daily commitment, but we think we can do that now. We will also get it looking more professional as the days / weeks/ months go on. Any help is appreciated with that. So you'll get the usual news, reviews, gigs and opinion. There'll be guest writers too. The Facebook following has grown and grown on my side and I need to channel those interested to a stand alone area. So as well as here, we've set up a dedicated Facebook group. It's there if you need it as I know comments on Blogs are hard to get. As well as those guest articles, we will also raid the ASH Archive for still relevant articles and interviews, particularly on days when inspiration is low. All the rest of the stuff continues in the ASH world, but this is the public face and an area that we hope will become vibrant.